I sent these out into the world via USPS today. Good luck, safe travels. Greetings from Iowa! So glad to find your delightful blog!!! 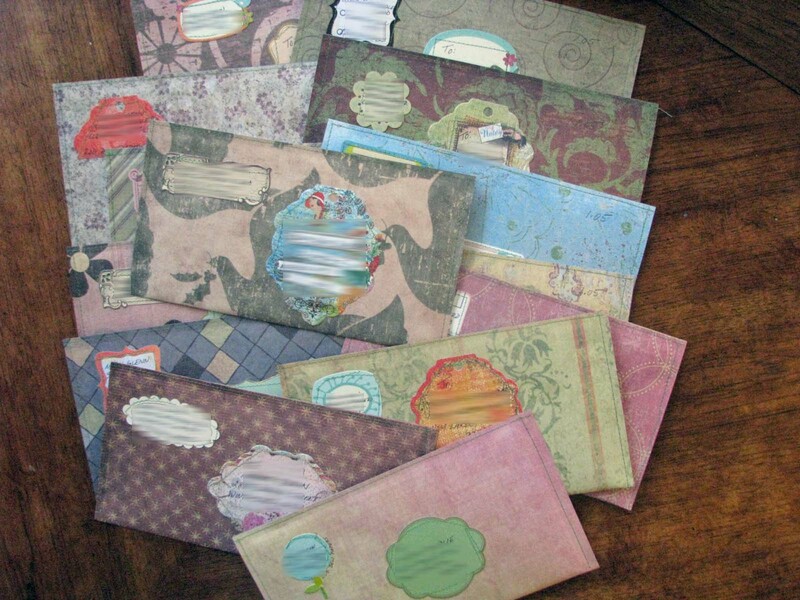 Love the mail art….what a fabulous idea….and a wonderful treat for the person who finds one in their mailbox! Marci: When I sent you some “papers” to thank you for the “deli papers”, I missed sending you the written thank you note where I was also admiring the envelope you sent me, it is beautiful! I have never seen them before, so I went to Roben’s website where she explains how to make them and I would like to try some. Beautiful envelopes Marci. Makes me want to get back to doing more mail art than I have been. i think sending out mail art is even more fun than receiving it! it’s so cool to see a big bunch of color and texture scatter off to their separate ways!